"On campuses across the country, we have seen a rise in anti-choice groups," said Trina James of the Canadian Federation of Students. Crisis pregnancy centres often set up near university campuses, targeting students through ads, information campaigns and free pregnancy tests. They present themselves as non-judgmental clinics, a support service for people facing an unplanned pregnancy. But students say they have received misleading anti-abortion information, including that ending a pregnancy could cause breast cancer and warnings about so-called post-abortion stress syndrome, prompting a backlash by student unions. Last week, an anti-abortion group at Acadia University in Wolfville, N.S., was evicted from the student union building after it "failed to comply with our bylaws," union president George Philp said. 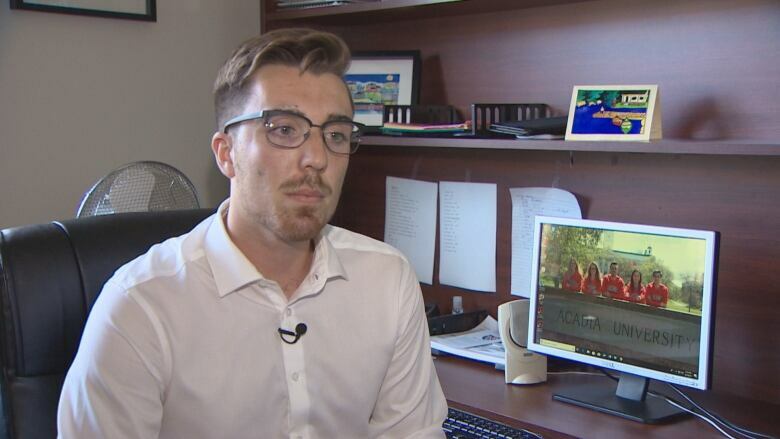 In Halifax, students at Mount St. Vincent University complained after a crisis pregnancy centre set up at an orientation fair last fall, spurring the student union to develop a new policy to block their presence at an event later this month. Student unions have warned students about crisis pregnancy centres and taken steps to limit their presence on campus, and revoked the official club status of anti-abortion campus groups at some universities. 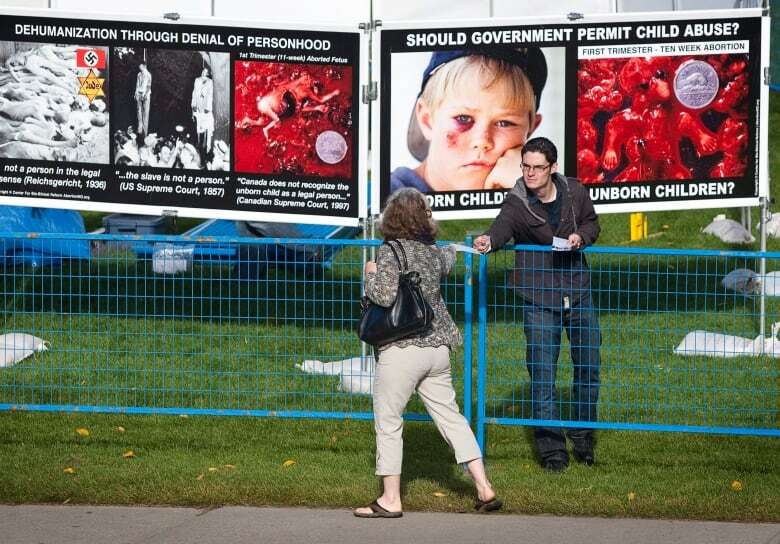 At Ryerson University in Toronto, anti-abortion demonstrators armed with graphic photos have been met with counter-protesters, while the University of Alberta's anti-abortion group UAlberta Pro-Life has sparked controversy with displays that include pictures of dismembered fetuses. 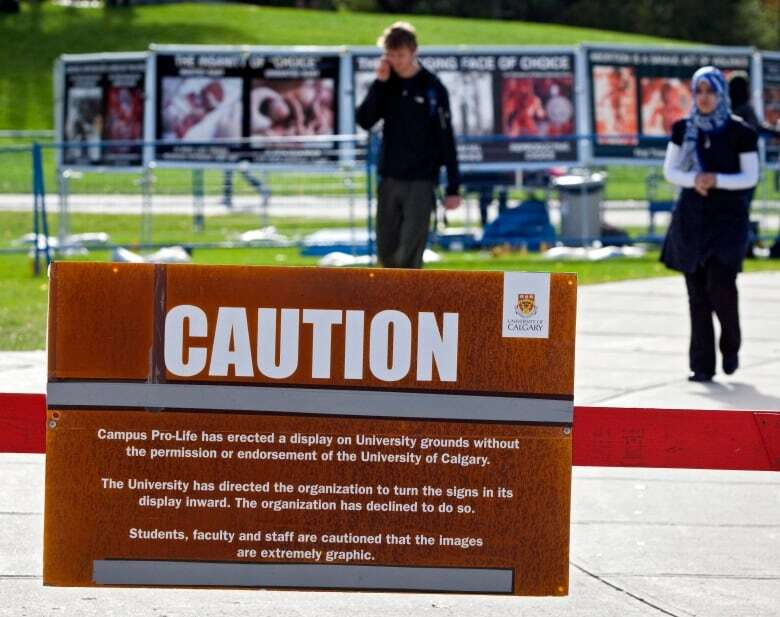 Ruth Shaw, executive director of the National Campus Life Network, said roughly half of Canada's 100,000 abortions annually involve women aged 18 to 24, "which is why we focus so heavily on university campuses." Shutting down debate over abortion amounts to censorship, she said. "Universities have largely become echo-chambers of cultural norms rather than agitators of culture or sort of forefront and cutting-edge culture shapers," Shaw said. But critics say crisis pregnancy centres use manipulative counselling methods to deceive often vulnerable women and push a religious agenda that stigmatizes abortion. "They are deceptive and they spread misinformation about abortion and reproductive health in general," said Joyce Arthur, the executive director of the Abortion Rights Coalition of Canada. "They used to be more open about their stance, but they've learned to cloak it ... to misrepresent themselves as kind of normal looking sexual health care centres where you can get unbiased information on all your options." Arthur said the crisis pregnancy centres use often untrained, peer counsellors that are guided by traditional religious sexual morality and biblical ethics. "They want to target young women and they know that students might be more likely to have an abortion if they get pregnant because they want to finish their schooling," she said. While they promise "non-judgmental counselling," she said they often mischaracterize the long-term effects of abortion. But the head of an umbrella group representing pregnancy care centres across Canada said the presence of these organizations near universities expands the choices available for women. "For women to have a choice, there have to be alternatives to abortion," said Dr. Laura Lewis, executive director of the Canadian Association of Pregnancy Support Services. "We believe that women should be empowered to make their own well-informed decision. If a woman chooses to parent, we want to help support her in that, if she chooses to place for adoption we'll help facilitate that, and if she chooses to have an abortion, then we always want her to leave knowing that we care about her, that she's welcome to come back." Lewis said the organization's members use a disclaimer of service form with all new clients that explains that they don't recommend or refer for abortion. As for warnings about so-called post-abortion stress syndrome, she said the organization prefers terms like post-abortion grief or stress and that the information booklet they provide members has been vetted by 45 health care professionals. 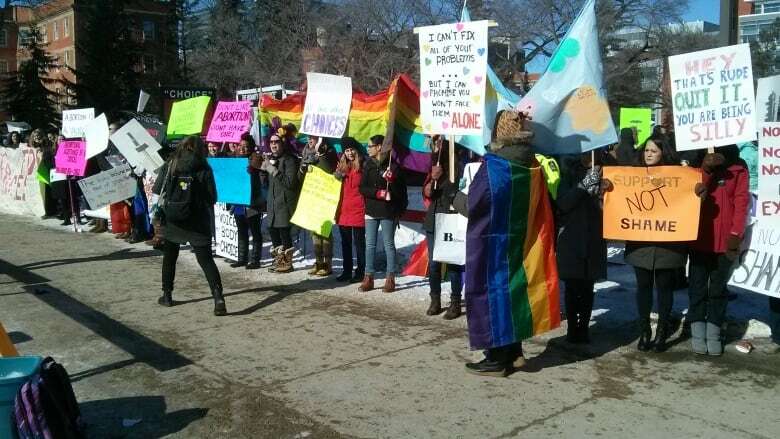 She called the backlash against certain support centres unfortunate, saying the discussion about pregnancy services has become too "politicized and divisive." "If a woman is uncertain or undecided, that's where pregnancy care centres can really come alongside and provide that alternative support to help them work through what their own decision is," she said. Shaw, whose National Campus Life Network mentors and trains anti-abortion student groups, said a lot of clubs, predominantly in Ontario, have lost club status in the last decade because their mandate is to advocate that human rights extend to all human beings "including pre-born human beings." Frederique Chabot, director of health promotion with Action Canada for Sexual Health and Rights, said some centres offer ultrasound services, which raises ethical questions about the diagnostic purpose. "When they pose as legitimate health clinics, people are expecting to receive accurate, evidence-based information. The result is that it can delay people's access to health care services." Arthur said abortion clinics already offer counselling on all the options available in a non-biased way, frequently referring women to prenatal care or reputable adoption services. "Anti-choice pregnancy care centres are not necessary," she said, adding that they often "confuse women and hinder them from making an informed pregnancy choice." James said it's important that conversations over abortion not include "triggering" tactics, or shame people who have gone through the process. "It's important when women are facing an unplanned pregnancy that all of the options should be presented to them in an unbiased way. They need services and support, not someone to tell them how to live their lives," she said.